Project Haystack is an open source initiative that has streamlined the interchange of the vast amount of data generated by today’s smart devices, buildings, and energy systems. By standardizing tags used throughout the industry, Project Haystack helps add meaning and context to data from the connected world. The online community grew rapidly and now gathers every other year for the Haystack Connect event. The live community event brings together systems integrators, technology providers, and end users who use haystack tagging and data modeling. 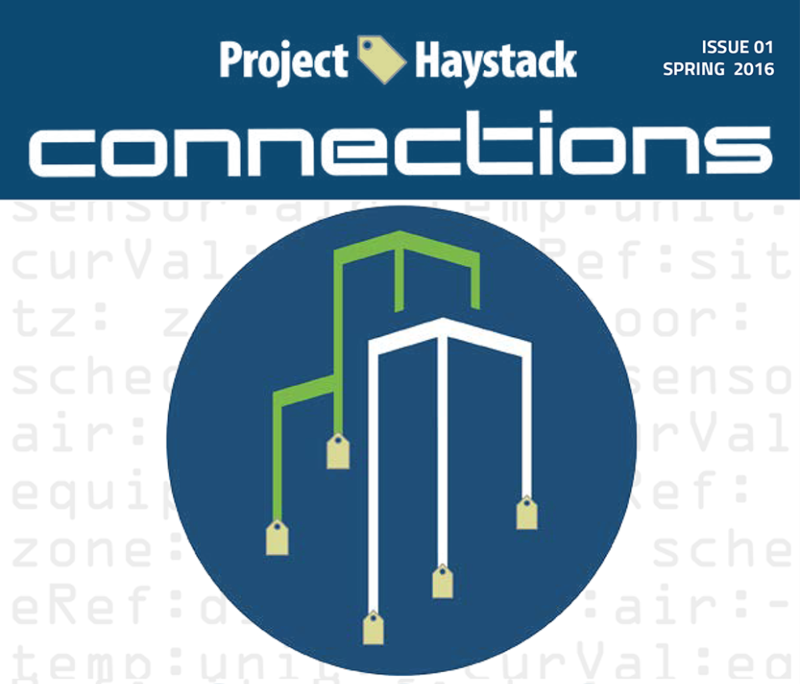 This month the first issue of the e-zine Project Haystack Connections was released. In it you'll find up-to-date news, resources, and tutorials. You'll also get to read success stories about how haystack tagging and data modeling is used in buildings around the world. Finally, you can read about the companies involved and learn how to become a part of the Haystack Community. To encourage community collaboration, J2 Innovations developed the FIN Framework as an applications server technology built upon the Project Haystack standard. Our product FIN Stack is the first BAS software that utilizes tagging and data modeling to make systems integration faster, easier, and better. This publication was authored by Therese Sullivan, and is featured on automatedbuildings.com. Download the PDF version of the e-zine here!